With a growing global population, food consumption will exceed from that of today. Since raw materials, energy and water are becoming scarcer, we need to adapt to more sustainable sources and production methods for our food. These methods may lie in using other food sources such as plant proteins instead of animal proteins and in using milder processing routes. The latter may include fewer purification steps, in turn implying the use of more complex mixtures as an ingredient, as opposed to first purifying these complex mixtures and then mixing them in the right proportions. In these adaptations we have to safeguard product quality, i.e. the sum of structure, mechanical (including rheological) properties, texture, taste, smell, safety, and nutritional value. All this requires a detailed knowledge on how the nature of a sustainable source and sustainable processing methods affect ingredient composition, and how the consequent compositional complexity affects final product quality. In the current project we will investigate to what extent more sustainable ingredient sources and processes can be used to manufacture products with desirable structural and mechanical properties. The strategy is twofold. One is to start with mildly purified plant extracts, investigate bulk and interfacial properties for specific product types and explore the effects of further purification of the ingredients towards less complex composition. The other is to start with mixtures of well purified ingredients form the same plant source, investigate the same bulk and interfacial properties and explore the effects of mixing of the ingredients towards more complex composition. For both strategies, plant based protein mixtures are also mixed with dairy proteins to get insights in the effect of replacement of animal by plant protein on food product structural and mechanical properties. 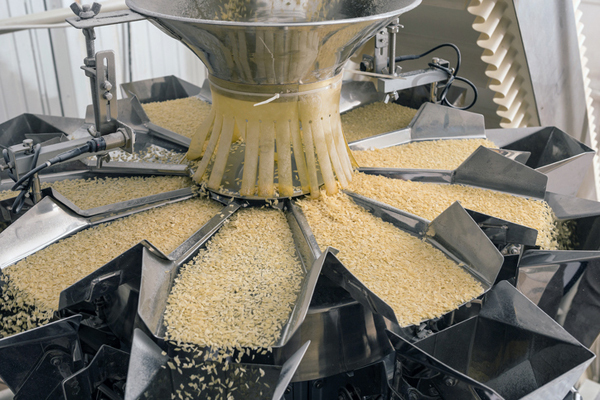 In particular we aim a) to understand the conditions to produce products with desirable structural and mechanical properties from more sustainable ingredient sources, b) to quantify sustainability effects of source and processing methods for a set of sources and processes and c) to formulate main lever rules that relate the properties of sustainable produced complex ingredient mixtures for a given source to desired product properties like structure and mechanical properties on all relevant length scales. To investigate to what extent more sustainable ingredient sources and processes can be used to manufacture products with desirable structural and mechanical properties. Understand the conditions to produce products with desirable structural and mechanical properties from more sustainable ingredient sources. To quantify sustainability effects of source and processing methods for a set of sources and processes. To formulate main lever rules that relate the properties of sustainable produced complex ingredient mixtures for a given source, to desired product properties like structure and rheological and mechanical properties on all length scales relevant to the product. Insights in to what extent mild refinement of chosen plant sources can be used to produce food products with desired structural and mechanical properties. Insights in possible sustainability gain when using mild refinement and/or replacement of animal by plant proteins in production of food with desired structural and mechanical properties. Insights in the relations between ingredient composition of complex mixtures of plant proteins, plant and dairy proteins, and plant ingredients, interfacial, film, and food product structure and mechanical properties. Insights in to what extent local pressures can be measured in foods. Local dynamics measured and related to rheology for liquids that contain non-refined plant material and dairy protein mixtures. Generic knowledge and a set of rules relating the key structural and mechanical properties of a specific set of products to those of the complex ingredient mixture and processing routes, including a quantification of sustainability.